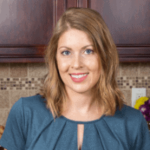 Published: Mar 22, 2018 · Modified: Apr 11, 2019 · By Jen Sobjack · This post may contain affiliate links. 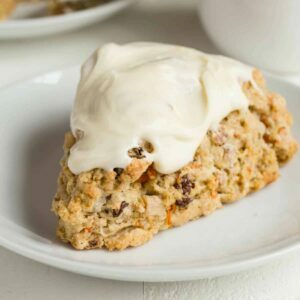 Carrot Cake Scones are a fun spin on Easter’s classic carrot cake. 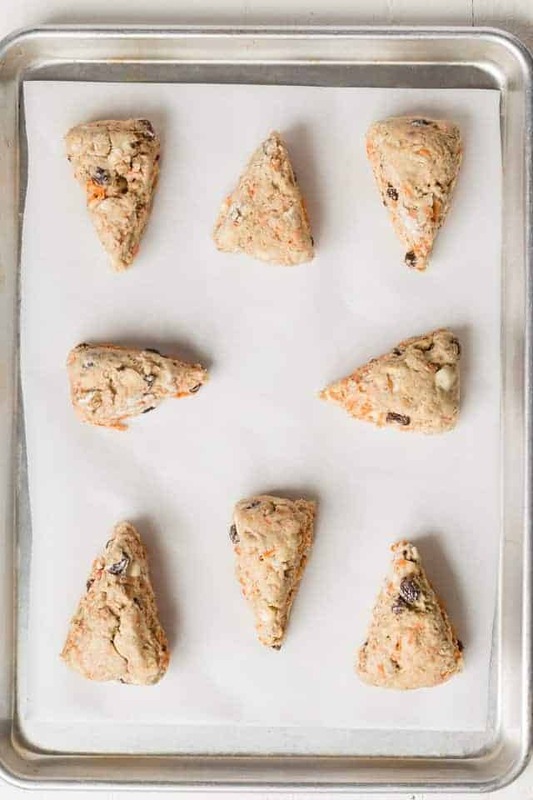 Shredded carrots, raisins, walnuts and cozy spices speckle the inside of these soft scones for the ultimate comfort breakfast! I simply can not resist a soft scone. And one that’s flavored like carrot cake? Count me in!! It seems like I have a scone for every season here on the blog. 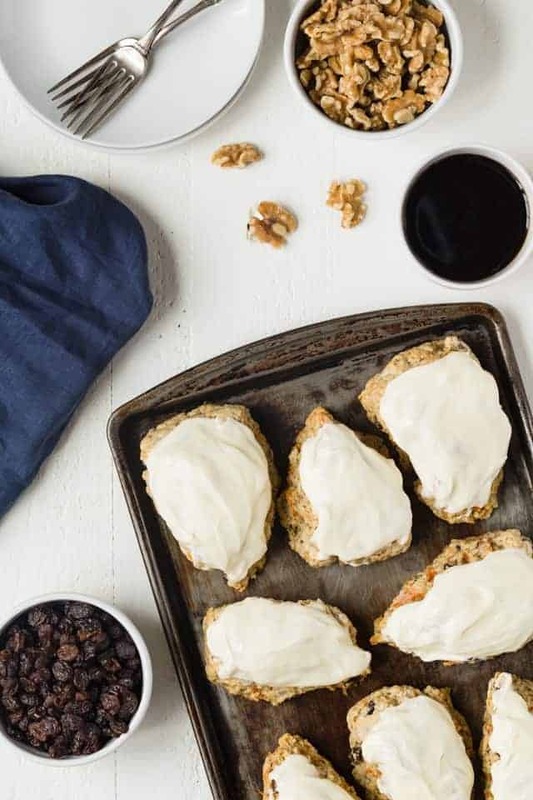 There’s honey citrus sweet potato scones for fall, blueberry buttermilk scones for summer, cranberry orange scones for winter, and now carrot cake scones for spring. If you haven’t made my soft scones before, I highly suggest you give them a try. The base is plain so you can flavor them any way you like! It’s my number 1 go-to recipe and it has yet to fail me. 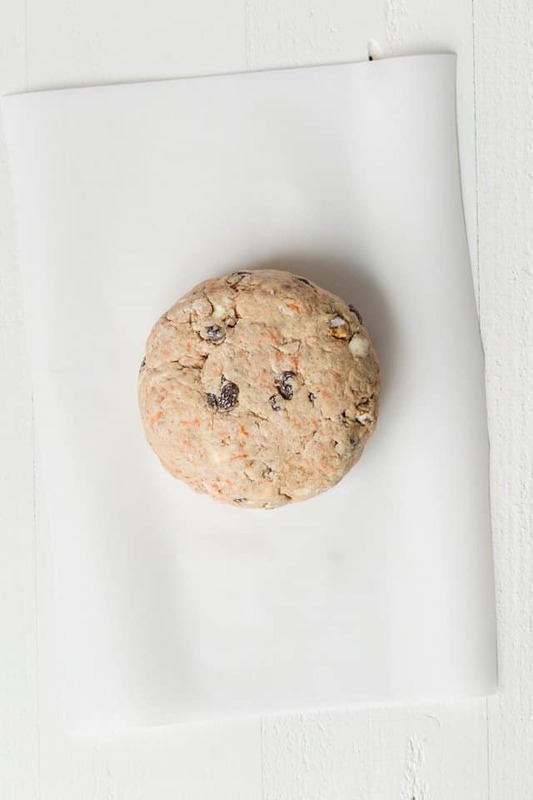 I adapted my basic soft scone recipe once again to create today’s flavorful scone. I pretty much kept the base the same and added all the essentials for that classic carrot cake taste. I did find that I didn’t need to add as much liquid to the dough since shredded carrots kept the scones pretty moist. A good scone should have a tender interior with crisp edges. It should also be crumbly yet moist and practically melt in your mouth. This is made possible by loads of butter and the use of buttermilk. Buttermilk is key here! 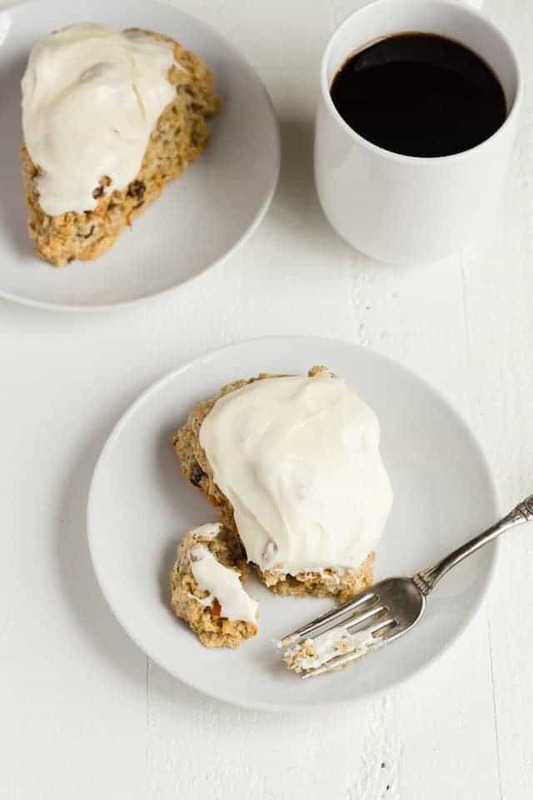 Normally I prefer lemon cream cheese scones with strawberries or chai pear scones but I’m loving this carrot cake version. I couldn’t stop reaching for “just one more bite”. 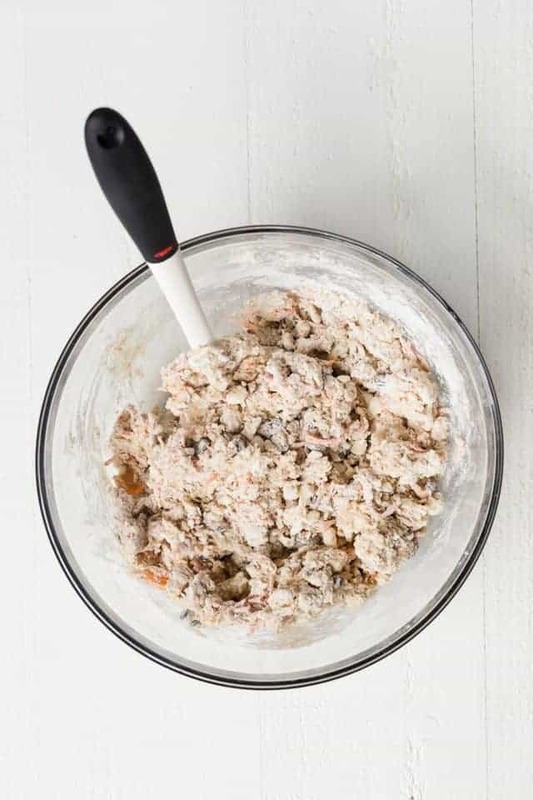 I always share my tried and true tips for making scones with each recipe I bring to the blog, so below is a list of the most important things to do in order to make soft, flavorful scones with the best texture. Cold butter is a must! You want little bits of cold butter throughout the dough in order to create airy pockets inside the scones as they bake. Use buttermilk in the dough. No other liquid will give the same result. Not heavy cream, milk, or nondairy substitute. You must use buttermilk in order to get soft scones. Don’t overmix the dough. Over mixing will cause gluten to develop in the dough and this can lead to a tough scone. A few dry crumbles in the bottom of the bowl is perfectly okay. You can knead those in later. Handle the dough as little as possible to prevent the butter from melting in your hands. If the butter melts while you are kneading and shaping the dough, it will not do its job in the oven. Just before you put the scones in the oven, brush the tops with heavy cream. Milk will work too but I always use heavy cream. This is what gives the scones their gorgeous golden color. With this recipe, you can get 16 small scones or 8 large scones. I usually cut mine into 8 pieces and the sones end up being about the size of my hand. And because you can’t have carrot cake without cream cheese frosting, I decided to top the scones with a simple cream cheese glaze. Cream cheese, confectioners’ sugar, vanilla, and heavy cream are all you need. 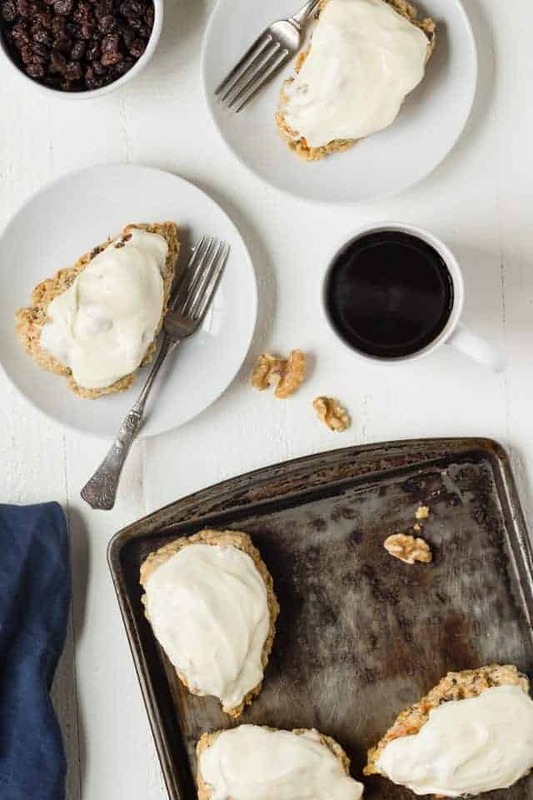 Just whisk those ingredients together and spread the glaze over the scones after baking. 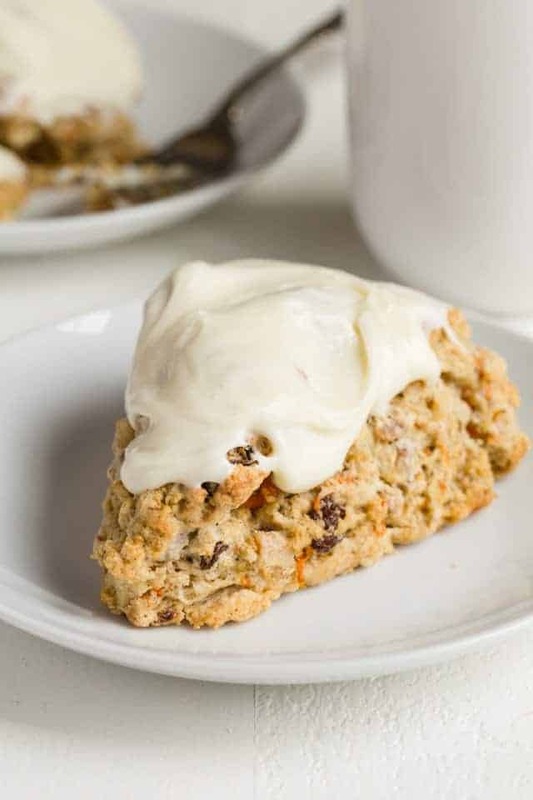 My sister-n-law has been living with us and she took a batch of these carrot cake scones to work. She said everyone gobbled them up faster than she could blink. I guess that means everyone loved them! Have you made any of my scone recipes? I’d love to hear what you think of them! 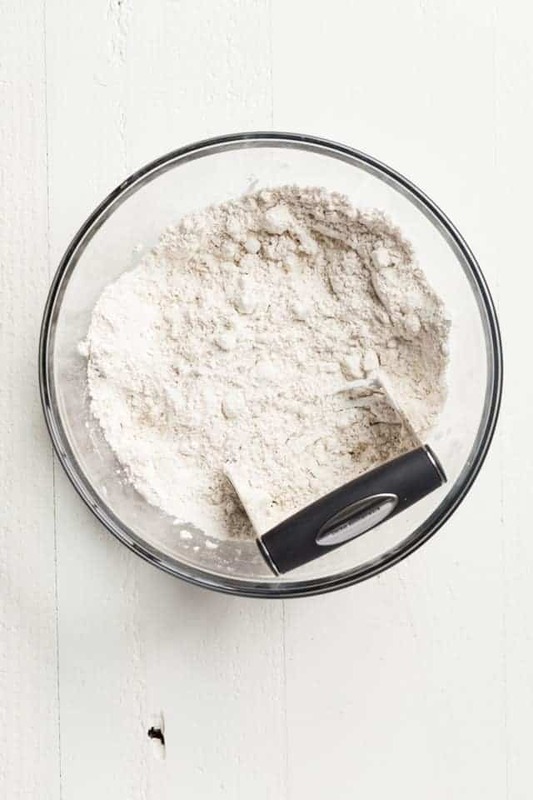 In a large bowl, whisk the flour, sugar, baking powder, cinnamon, salt, baking soda, ginger, and cloves together. Cut the butter into the flour using a pastry blender, 2 knives, or your fingertips. The mixture should look like coarse crumbs. 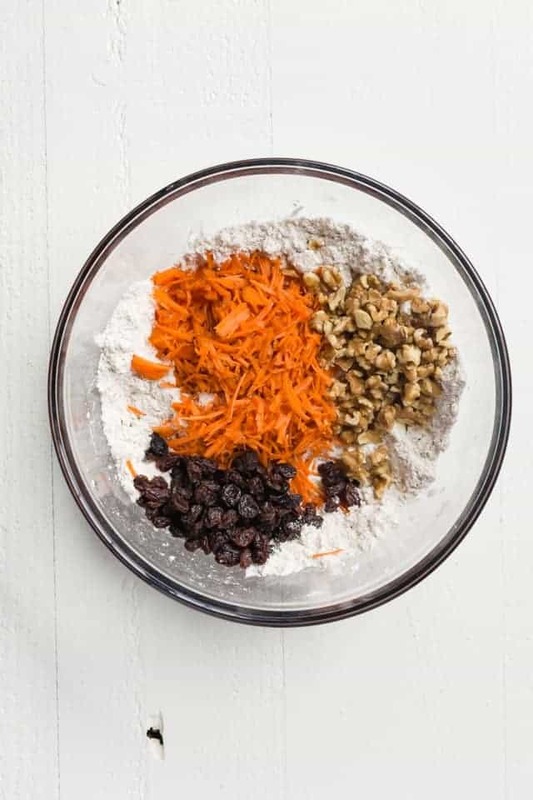 Stir in the shredded carrots, raisins, and walnuts.